HipHopDX – This week in Hip Hop, Kanye West had his album release party for Ye in Wyoming, flying out celebrities and media for a first listen. Also, Pusha T dropped his response to Drake’s “Duppy Freestyle” with “The Story Of Adidon,” spewing tea about Drizzy’s alleged son and sharing a picture of the OVO star in blackface. Lastly, Spotify changed its mind about the “hateful conduct” policy it rolled out, which removed XXXTENTACION and R. Kelly from curated playlists. Kanye West held a special release party on Thursday night (May 31) for his Ye album, which involved a free trip to Wyoming for some media members and celebrities. That was apparently enough for Yeezy to get back into some of the public’s good graces following his controversial comments about slavery and support for Donald Trump. His seven-track album was also livestreamed on WAV App, though things didn’t start until midnight Eastern. For two hours, Yeezy had music heads staring at a crackling fire before the listening party began. Listen to Kanye West’s Ye here. 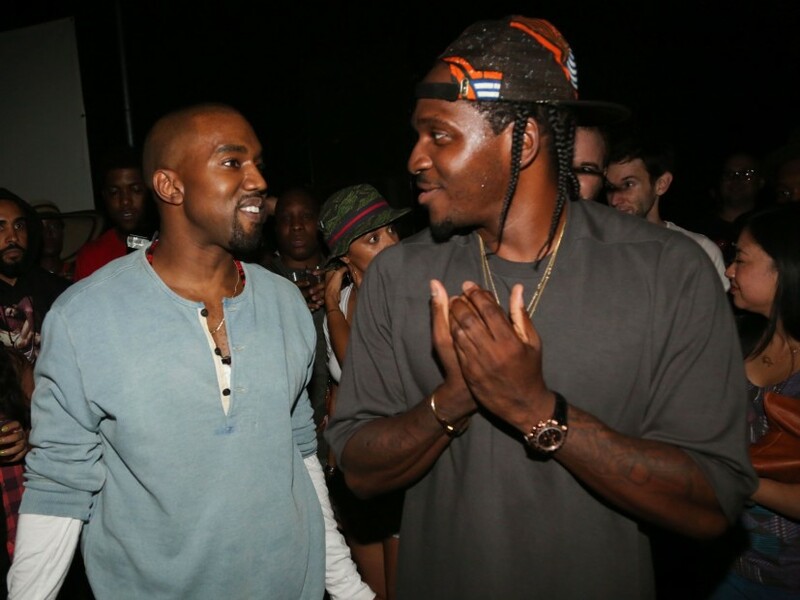 After Drake released “Duppy Freestyle” quickly after Pusha T’s DAYTONA cut “Infrared,” people were wondering if King Push was ever going to reply. Of course Pusha did, and he let Hot 97’s Funkmaster Flex premiere his response, “The Story Of Adidon,” for Hot 97 listeners on Tuesday (May 29). In the song, he claims the OVO boss is a deadbeat dad, talks about his alleged child’s mother Sophie Brussaux, pokes fun at him being biracial and the fact that his producer 40 has multiple sclerosis. In a particularly devastating blow, G.O.O.D. Music’s president made the cover art a photo of a younger Drake in blackface. Since Pusha’s explosive diss track was released, the OVO camp has been unusually quiet. Drake released a statement explaining his use of blackface (which Pusha T doesn’t buy) though. Read more about Pusha’s epic Drake diss here. This week, Spotify CEO Daniel Ek admitted the rollout of the company’s “Hate Content and Hateful Conduct” policy was poorly executed. The streaming giant announced the policy in early May and simultaneously pulled music from XXXTENTACION and R. Kelly off their playlists. The move caused Top Dawg Entertainment to threaten the removal of their artists from Spotify, which include Kendrick Lamar, ScHoolboy Q and SZA. Read more about Spotify here. Pusha T’s artwork for his Drake diss was incendiary, to say the least, but there are plenty of other times an artist has made their cover art disrespectful. HipHopDX compiled some of these covers, including Remy Ma’s “Shether” aimed at Nicki Minaj and Quavo’s “Ice Tray” aimed at Joe Budden. When Drake mentioned Pusha T’s fianceé by name on his “Duppy Freestyle” diss track, all gloves were off in their rap feud. But Pusha made comments about Noah “40” Shebib having multiple sclerosis in his response and some are considering it a low blow. “Though Pusha might just be unleashing his anger on Drake and 40 is collateral damage, he seems to not have thought about how many of his fans probably suffer from disabilities or illnesses,” DX’s Daniel Spielberger writes. Read more about why Pusha T’s 40 line was flagrant here. Kanye West said Tyga’s video for “Taste” featuring Offset is the best of all time. DX challenged his claim with 10 videos better than “Taste,” all of which dropped during 2018. Check out the selections here. If you’re not familiar with the term, you likely spent time googling the word after Drake dropped his “Duppy Freestyle.” It means “evil spirit” or “ghost” in Jamaican patois but is often used as a diss in U.K. Grime culture. DX caught up with UK Grime rapper Tony D to learn more about the word’s usage and how it applies to Pusha T.
Read the explanation of duppy here.